A steel framed addition to the existing National Military Medical Center, this building features tiered, sloping green roofs that bear curved steel trusses over large column-free areas. The Car Barn Training Center is a three-story building with partial basement, approximately 15,000SF footprint that will be used for Operations and Maintenance of DC Street Cars facilities. It is located at Benning Road and 26th Street NE, Washington. The project is a Design/Build and will incorporate the following elements: Car maintenance platforms and pits, turntables, jib cranes, car washing platform, maintenance mezzanine, mechanical rooms, offices, conference rooms, locker rooms as well as an elevated cistern. Monorail cranes are hanging from the roof steel frame. 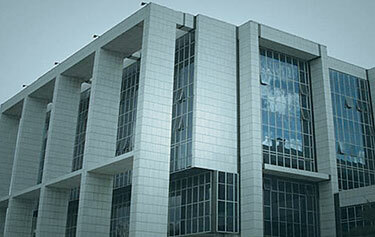 The frame is a reinforced concrete up to grade and steel frame with masonry and glass cladding above. The roof/ green roof has large skylights and supports transparent photovoltaic panels. The project is a new 2-story 15,000 square foot building that will serve as the permanent maintenance facility for the Anacostia line of DC’s new streetcar system. Included are two tracked maintenance bays with raised access platforms, a subgrade pit for access to the underside of the cars, and a mezzanine with office and mechanical space. The structure is steel framed, with a composite slab at the mezzanine and deck on joists for the two countersloped roof segments. Lateral forces are resisted with braced frames parallel to the incoming tracks and perpendicular moment frames. 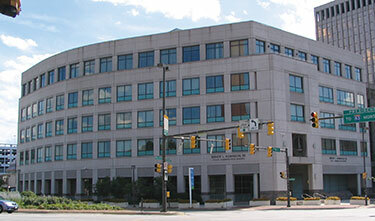 A GSA project, the new Annex addition to the existing Courthouse (approximately 250,000 sq.ft.) was designed by the signature architect Michael Graves, and the Smith Group. A concrete and steel frame designed according to GSA’s blast and progressive collapse resistance criteria. The renovated building of about 475,000 sq. 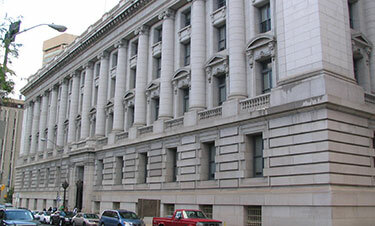 ft. is listed on the National Register of Historic Places. 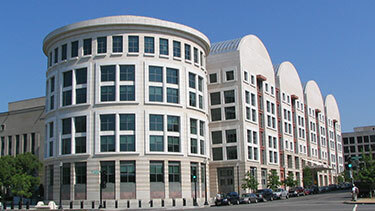 New 200,000 square feet Federal US Courthouse of circular shape. Six-story structural steel frame with concrete shear walls and a two-story precast, pre-stressed concrete parking garage. 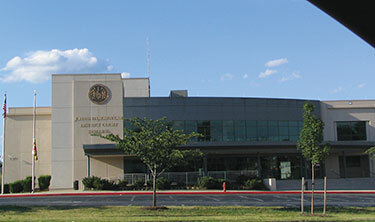 This two story building houses the County’s 911 and Emergency Center. The structure is a steel frame designed to remain operational after an earthquake and for blast and progressive collapse resistance. A multistory prison made of precast prison cells, precast planks and beams, supported on cast in place transfer girders. The foundation was special pressure injected footings. Five- story, 100,000 sq.ft. 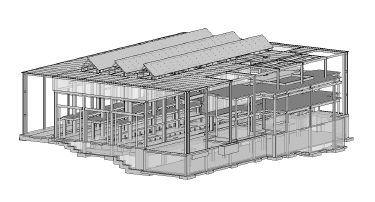 addition of composite steel frame building. 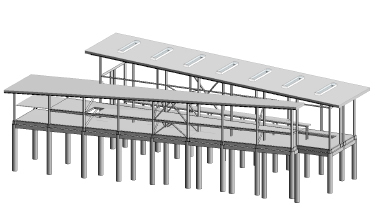 Includes a four-story atrium with special trusses for cladding support and pedestrian bridge, Augercast pile foundation specially located to avoid existing utilities. 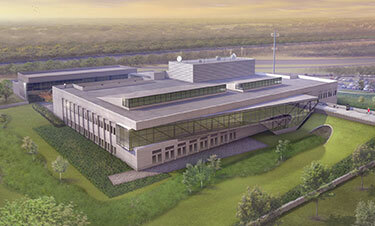 Renovation of the existing headquarters building for new mechanical system distribution. 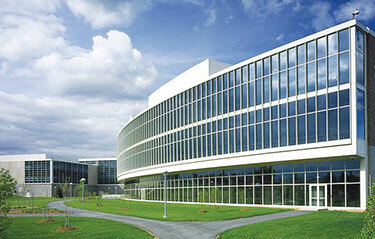 A DGS project of 89,000 sq.ft. of courtrooms and ancillary facilities. 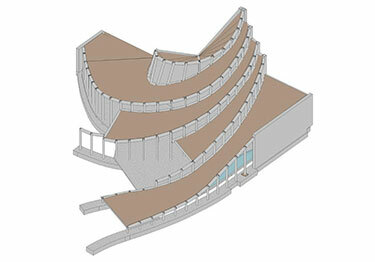 A double height lobby with glass curtainwall and monumental stairs leading to the courtrooms. 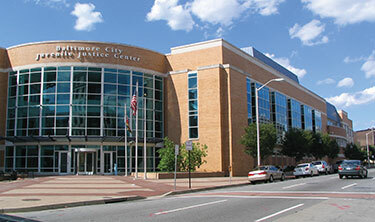 Renovation of the historic customhouse in Baltimore, 180,000 square feet. Existing is steel frame with terra-cotta tile infill. 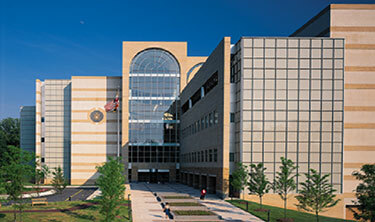 Four-story steel frame supporting juvenile courtrooms and administration facilities, and 3-story masonry juvenile prison structure. A 370,000 sq.ft. complex of Office Building, an Automated Data Processing Center ( the largest for IRS on East Coast), a Warehouse with heavy loads from storage racks and forklifts on elevated floor and a Child Care Center. The structure is a steel frame building with specially reinforced foundations and mechanically stabilized retaining walls. A 600,000 square feet, 14 story, courtroom and office concrete moment frame building, designed for seismic zone equivalent to Zone 4, partially seismic isolated, with 120 ft. post-tensioned transfer girder supporting columns of a nine-story reinforced concrete frame above. Dimitrios Frantzis was Project Manager and Lead Structural Engineer responsible for the seismic analysis and the building isolation details, and for the coordination with architects, mechanical engineers and State officials.